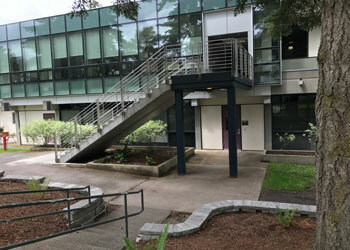 Are you looking for commercial painting contractors in the North Bend, WA area? A-1 Painting and Performance Films is the name to remember. We are experienced commercial painting contractors serving North Bend and its surrounding areas. Regardless of the size or complexity of your painting needs, you can rely on us to complete the project on time and on budget. Our commercial painter will thoroughly discuss your needs, develop a custom painting plan and walk you through the entire process, so you know exactly what is being done on your property. If you need a commercial painter that delivers excellent workmanship on each and every job, your search ends here. We are the go-to commercial painter for North Bend businesses, big and small. We are one of the most reputable commercial painting contractors for your North Bend business. We boast an expert team of painters with years of knowledge and experience providing professional painting services to commercial properties. We offer a free estimate for all your painting needs. Each one of our estimates will clearly define the work we will provide. We are fully licensed, insured and bonded commercial painting contractors with a goal to improve the beauty and value of your investment. To find out why you should choose us as your commercial painting contractors in North Bend, feel free to call A-1 Painting and Performance Films at (425) 214-1599. We look forward to working with you.